The ibis Styles Albany is centrally located and close to all the Great Southern regions tourist attractions and landmarks including Whale World, The Gap, ANZAC memorial and Bluff Knoll to name a few. ibis Styles Bar & Grill located in the hotel offers a competitively priced extensive menu and a wide variety of wines. 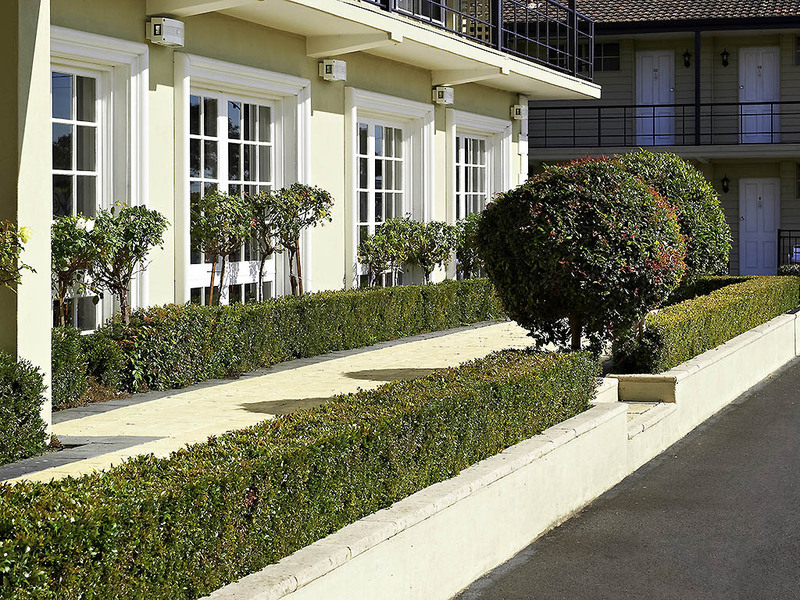 ibis Styles Albany is the ideal accommodation whether travelling on business or leisure. Enjoy a tasty meal at The Bar and Grill along with a glass of fine wine from the Great Southern region. Enjoy a tasty meal at the ibis Styles Bar and Grill along with a glass of fine wine from the Great Southern region. Clean and comfortable for an overnight stay. Located on the way into town and easy to find services and attractions. The restaurant was very nice and I enjoyed the meal. I’ll stay again when I visit again. Tired and worn. Not value for money. The breakfast was worse than a UK service station. The coffee machine was broken on day 1 and the dishwasher had not washed the cup fullyWe move to another property for virtually the same price rather than stay 3 nights. WE were allocated a nice room on the west side of the complex, which was less busy than other areas. The restaurant food was better than expected, and the staff service was very good. Wifi worked very nicely and the availability of newspapers has been lost on other hotels, but not at this one. The check-in process was good, smooth. The room was okay, didn’t expect much. the balcony was facing the lawn bowl field. the hotel was quite different from the other ibis styles hotel i’ve ever stayed.the breakfast was basic, coffee was good.location, was quite far from town centre. When we arrived the outside temperature was 8c but the room had been pre warmed for us,a nice touch.The staff were very welcoming and helpful.The room was more than adequate and the bed was extremely comfortable and warm.The breakfast was adequate but could have been a bit warmer,that was the only negative for our whole stay.Thank you. A great place to base yourself!! Hi Sandra B, I am so glad to hear you enjoyed your stay with us. Thank you for your kind words regarding our staff, restaurant and rooms. We certainly hope that we can welcome you back again soon. Hi TheGrif65, Thank you for your review and feedback. I am sorry to hear that you had smoke come into your room from the balcony. I am currently looking into ways in which we can avoid this happening in the future, by installing some guards around the door and/or setting designated smoking areas away from the rooms. My apologies again for the discomfort this caused during your stay and thank you for your review. Appreciated the hospitality of the team at Albany Ibis Styles. Facilities, though dated were clean, spacious and better than Ibis Budget. As with other Ibis hotels, staff exceptionally friendly and helpful. Particularly useful current local knowledge provided, including from the Chef. Albany has superb attractions and Ibis Styles is good base. We would definatly return to this town Great accomodation A good central point to travel around the area to see the sites. The rooms are clean and tidy which is important for travellers. Good job guys. Upon entering the room we were greeted by a awful stale smell and although we left the door open whenever possible it never went away .Moreover the bathroom was plagued with silver fish.why was the duvet not placer inside a cover ? We did visit the restaurant with a view to dine there it was not inviting and the buffet was disappointing. The buffet breakfast was probably the worst selection we have ever had. Decent clean room and good value meal with our Accor card. Got room towards the back and that minimised the noise of highway traffic. Bathroom quite small and basic but adequate for a one night stay. Breakfast quite good. Air condition was not working right ran on high only hopefully they will replace them to split systems .Bed was comfy wish we had a toaster in our room . service was great . Meals could could do with improvement evening meal was only warm and second night same thing to eat ..Breakfast was cold . coffee tea machine not very good .People that work there were lovely and helpful.. Would stay again just hope they improve on the few things ..
Good location if you drive. The ibis Styles is situated at the junctions of Albany Highway, Chester Pass Road, North Road and the roads to the foreshore & Denmark. This makes it a great location for if you are touring by a motor vehicle. In spite of the traffic the rooms are very quiet and there is adequate parking on site. We stayed in a King room which was more than adequate. The en-suite, good size, has a shower NOT a bath with a shower so great if you have some sort of disability. The room was clean, tidy and had a fridge, as well as tea making facilities. The free WiFi was good as well as the flat screen TV. There is a room service which costs an extra $5. Breakfast gives you a good choice but be there before 7.30 am as the pastries disappear. Dinner either buffet or a la carte is average yet priced well. We enjoyed our stay (3 nights) and would return again & again. Booked 4 nights on their special deal, which included breakfast. Had the King sized bedroom, with a view over looking the bowling green, not that great in the end as we over looked the back of a building where garden stuff was dumped. Breakfast was okay, help yourself, not a big choice but enough. We met family on the Friday night in the restaurant, We all ate off the menu, which was over priced for the size of the meals we received. The buffet for $24.95 did not look very interesting either, better places to eat in Albany. For budget minded people good location & price, if you are there for 3/4 days. Tired rooms but neat, clean and spacious. Friendly service by prompt staff. Great steak Restaurant and location of hotel is at the entrance to Albany which is a good location to begin every day. Had the room out the back away from traffic which is also close to their barbeque facilities. Our stay in hotel Ibis Albany. We thoroughly enjoyed our trip to Albany. The hotel was fantastic. Food was excellent . We had the buffet lunch and breakfast. Great value and highly recommended. A Coles shopping centre is nearby and handy for any last minute needs. Bottle shop next to hotel is handy for any cool beverages needed. Staff very helpful with early check in and change of room for my father who has difficulty with stairs. Switched him to a queen room with no extra charge.